The annual Editors Retreat just wrapped. But this was no ordinary camping trip. Tonight, Michael Kammes, Director of Technology for Key Code Media, explains what the Retreat is, how it started and what happened this year. Larry Jordan: In his current role as the director of technology at Key Code Media, Michael Kammes consults on the latest in technology and best practices into the digital media communication space. He also has a habit of attending interesting events and trade shows. Hello Michael, welcome. Michael Kammes: Hello Larry, I love the sound of your sultry voice tonight. Larry Jordan: I tell you, if it gets any deeper I’m going to have to rediscover my socks. Oh my goodness. Michael Kammes: I think we need to get you a saxophone, you can do a little bit of jazz for us. Larry Jordan: Probably. Don’t make me laugh because I’m going to start to cough. You recently attended the annual Editors Retreat. Tell us about it. Michael Kammes: Well the Retreat, I think it’s in its 14th or 15th year, and it was held in Nashville, Tennessee this year. Every year it hops around to different places around the US. 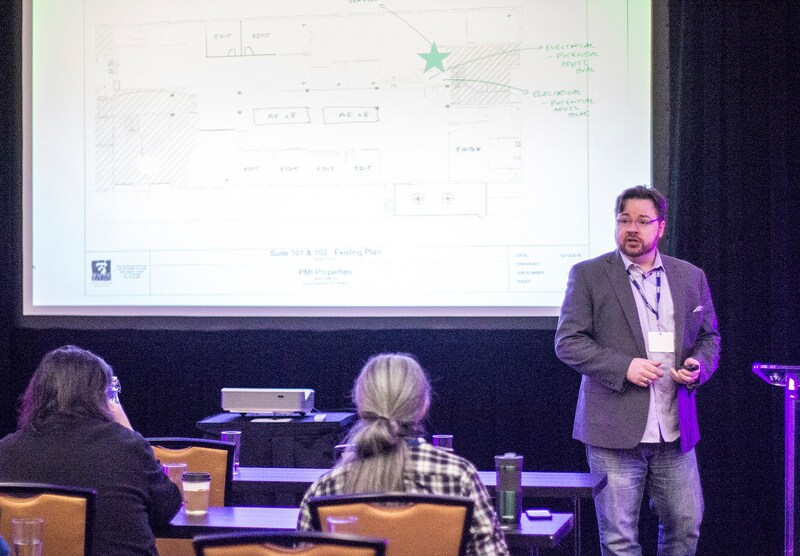 It’s a gathering of 60 to 70 higher end editors all around the country, and we get together and we not only do peer presentations on technology or editing tips, but we also get to hear from some of the leaders in the industry. This year we were lucky enough to have Dan Lebental who cut ‘Elf,’ and ‘Iron Man 1 and 2,’ and ‘Thor: The Dark World’ and ‘Chips’ which is coming out in theatres and also Steve Audette, who’s been cutting ‘Frontline’ and ‘Nova’ for many years. So we hear from them on different editing tips and the projects they’re working on. Larry Jordan: Who runs the event? Who’s the host? Michael Kammes: It’s a good question. FMC you may be familiar with, Future Media Concepts. Ben, the owner there, has put this on for over a decade, and the MC of everything is the legendary Jeff Greenberg. Larry Jordan: Very true. Jeff I know. What is the purpose of this? Is it to learn technology? Is it to learn the craft? Is it to network? What’s the thrust do you think? Michael Kammes: It’s mainly on the craft. That’s why Dan and Steve actually looked at cuts that almost everyone did and gave critical feedback. You could have done this better, you could have done this differently, you could have emphasized this point more. You could have waited more on this beat, you know, to punctuate that joke. But it was also how to be a faster creative editor, whether it’s ten different ways to do multicam inside Premiere. Scott Simmons did a lot of stuff on Premiere. We also had Gary Adcock who as you know is very technical, and did a presentation on Aces which isn’t as creative as much as it is finding the right path and the right workflow for the mathematical complications that is color. My favorite one though was Misha Tenenbaum. I think you know who Misha is and he did something called the signal and the noise which was a way of critically looking at film and television to a lesser extent, and being able to not grade the film, but analyze it based on length of shots, color palettes, and have a kind of metrics on how good a film is depending on how many J cuts or how many L cuts and then comparing that to other films done by the same editor or the same director. Larry Jordan: What was the benefit of the analysis? Michael Kammes: It could see what worked for directors or for producers or editors. Did more successful films have more J cuts? Did more successful films have more L cuts? Was there more action in the third act? Did that do better in terms of critical acclaim? So, I don’t think the idea was completely fleshed out, but it gave us another way of analyzing films without just calling it art, and it being a day. Larry Jordan: You’re being a little modest, because you yourself presented at the session. What did you talk about? Michael Kammes: I did an hour long session on what was called ‘The Tens’ and it was the top ten things you need to upgrade your professional edit bay. Some of those would be a Whisper Rack for example, putting all your loud gear in a Whisper Rack so when the producer and the director come in, you’re not drowning them in white noise from the computer. Things like different human interface units, like Tangent panels. So just things that I’ve found over the past year or so that professional edit base can use to take that next step up. Larry Jordan: Top ten cool toys is really what it was. Michael Kammes: Yes, boy toys, yes. Larry Jordan: Michael, for people that want more about what you’re doing, where can they go on the web? Michael Kammes: A couple of different places. They can check me out at fivethingsseries.com, Michaelkammes.com or you can check out Editors Retreat online at editorsretreat.com. Larry Jordan: Michael Kammes himself is the voice you’re listening to. Director of technology at Key Code Media and other places. Michael, thanks for joining us today. Michael Kammes: Get better Larry.